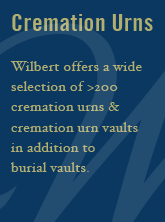 A burial vault is a lined and sealed outer receptacle that houses and protects the casket. They are constructed of high-strength concrete, reinforced with a metal or plastic liner, and provide the most lasting protection. Burial vaults help resist water and provide protection from insects so the contents of the casket are not compromised. They also protect the casket from the weight of the earth and heavy maintenance equipment that will pass over the grave as well as preserve the beauty of the cemetery by preventing the ground from settling. Not to be confused with burial vaults, an outer burial container (or grave box), is an unlined concrete box that is not water resistant. As defined by the National Concrete Burial Vault Association, if an outer burial container is not lined and sealed, it’s not a burial vault. 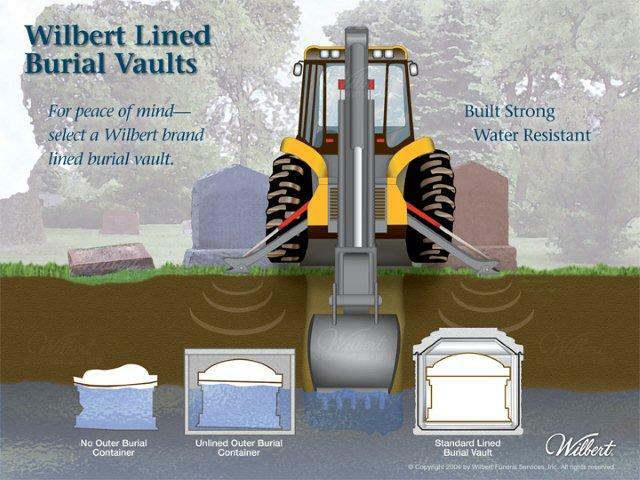 Watch the Wilbert Burial Vault video to see how Wilbert burial vaults help protect the contents of a casket from elements of the earth such as water and insects and from heavy equipment used in cemeteries for ground burial and maintenance of the cemetery grounds.